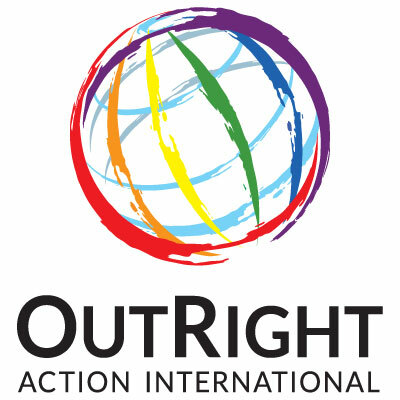 Every December, we at OutRight Action International host LGBTIQ activists from around the world in New York for a week of high-level meetings and activities using International Human Rights Day on December 10 as a pivot. 1. Bring together LGBTIQ activists from around the globe and create safe spaces for networking and the exchanging of information and experiences. 2. Facilitate access to relevant, high-level United Nations meetings, to various government officials, and to Diplomatic Missions. 3. Facilitate spaces for activists working on the ground to raise awareness of their issues with key global influencers and organizations. Advocacy Week 2017 kicks off with two days of training where we brainstorm how to effectively use the spaces being created during the week. Throughout the week, OutRight sets up strategic meetings with diplomatic missions, governments, and individuals, as well as events at the United Nations. There also are opportunities for activists to meet up with key donors and media during their stay in New York. We are inviting all activists who would like to use Advocacy Week to push their issues and influence change to express their interest by filling out the questionnaire below. This approach will assist us not only in assessing the impact of the event, but also in developing a relevant engagement strategy, based on a real-time assessment of the needs of activists on the ground. If you are an LGBTIQ activist and feel you and your organization will benefit from taking part in OutRight’s Advocacy Week, please fill out the questionnaire below that we have designed to assist us in the selection process. Thank you! * 4. Please insert a 200-250 word professional bio about yourself below. * 7. What is the name of your organization? * 8. What is your organization's mission statement? * 9. What is your current position title? * 10. How long have you been in your current position? * 11. Are you seeking funding from OutRight? * 12. Do you have experience speaking with media outlets? * 13. Have you participated in Advocacy Week before? * 14. If 'yes', please indicate which year(s) you were in attendance. Questions 15 through 20 are related to one's experience level with UN bodies and missions. Please bear in mind when answering these questions that one's level of experience with UN agencies and governments will not affect whether one is selected for Advocacy Week. We simply would like to gauge experience levels for our training sessions. * 15. Does your organization currently work with the UN system? * 16. If yes, which part of the UN System? * 17. Do you have experience speaking with governments in an international context? * 18. If 'no', what has sparked your desire to begin doing this type of work? * 19. What specific governments are you most interested in meeting? Please rank 20 missions below.